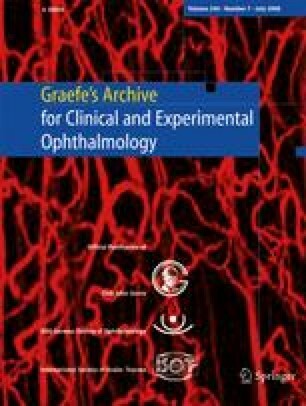 To investigate systematically the role of systemic corticosteroid therapy in non-arteritic anterior ischemic optic neuropathy (NA-AION). Median follow-up was 3.8 years. At 6 months from onset of NA-AION, of the eyes with initial visual acuity 20/70 or worse and seen within 2 weeks of onset, there was visual acuity improvement in 69.8% (95% confidence interval (CI): 57.3%, 79.9%) in the treated group, compared to 40.5% (95% CI: 29.2%, 52.9%) in the untreated group (odds ratio of improvement: 3.39; 95% CI:1.62, 7.11; p = 0.001). Comparison of visual field defect at 6 months from onset of NA-AION, among those seen within 2 weeks of NA-AION onset with moderate to severe initial visual field defect, there was improvement in 40.1% (95% CI: 33.1%, 47.5%) of the treated group, and 24.5% (95% CI: 17.7%, 32.9%) of the untreated group (odds ratio: 2.06, 95% CI: 1.24, 3.40; p = 0.005). In both treated and untreated groups, the visual acuity and visual fields kept improving up to about 6 months from onset of NA-AION, and very little thereafter. This study suggested that NA-AION eyes treated during the acute phase with systemic corticosteroids resulted in a significantly higher probability of improvement in visual acuity (p = 0.001) and visual field (p = 0.005) than in the untreated group. Both visual acuity and visual fields improved up to 6 months after onset of NA-AION. Supported by grant EY-1151 from the National Institutes of Health, Bethesda, Maryland, and in part by unrestricted grant from Research to Prevent Blindness, Inc., New York. We are extremely grateful to Drs. Randy H. Kardon, H. Stanley Thompson and Michael Wall, and Mrs. Patricia Podhajsky for their invaluable help with the visual field evaluation.